Welcome to Learning & Beyond Preschool! Where learning has no limits! Thank you for your interest in Learning and Beyond Preschool, LLC. We understand the tremendous value of your child. For that reason, we feel the responsibility to provide your child with the love, respect, and care that he or she needs and that you believe they deserve. For many children, entering preschool is their first time being away from home. This is a big step for the whole family. We strive to provide each child with a positive experience in a fun, friendly and safe learning environment. Learning and Beyond is a community school; where families are welcomed to stop in and visit and encouraged to participate in their childrenвЂ™s education. 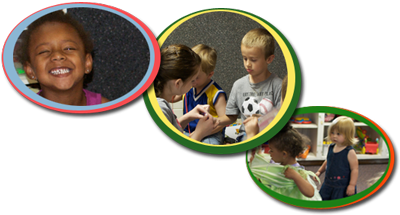 Our childcare facility is located in McFarland, WI and is an easy commute from Madison and other surrounding areas. We provide daycare for children starting at 8 weeks of age and also offer after school programs. Learning and Beyond Preschool, LLC. provides childcare of the highest quality, while providing a secure, family orientated and nurturing environment by our professional staff. Our innovative environment will allow your child to grow intellectually, creatively, emotionally, socially and physically. Each member of our team is dedicated to enriching your child with the skills they will need in the school years ahead. We work to help them foster a positive self-image which will lay the foundation for building high self-esteem, giving them confidence in their abilities to successfully meet lifeвЂ™s challenges. Please call Learning and Beyond Preschool at 608-838-1466 or email us to find out about our current openings. If you are interested in a tour of our facilities, please call or email us to set up an appointment. You can find contact information, a map of our location, or email us on our contact page. Learning and Beyond Preschool has recently updated our website! The website now has a new look and feel, and will also be used to relay news and information to parents. Check out all of the new pages! Meals and snacks provided for children at Learning and Beyond Preschool, LLC will meet the U.S. Department of Agriculture Child Care Food Program minimum requirements. No child will go without nourishment for longer than 3 hours. Breakfast will be served until 7:30 a.m., morning snack between 9:30 and 9:45 a.m., lunch is served between 11:30 a.m. and 11:45 a.m. and afternoon snack between 2:30 p.m. and 3:00 p.m.
Each month, Learning and Beyond will update our calendar with news, events, and menu items. Check our calendar regularly for updates on special events, field trip information, menu updates, and much more. If you have a google account (gmail), you can add any event on our calendar to your own personal calendar. Check out the Learning and Beyond Preschool photo gallery. The gallery includes photos of our facilities, our students and teachers, and images from field trips and other special events. Learning and Beyond Preschool, LLC.